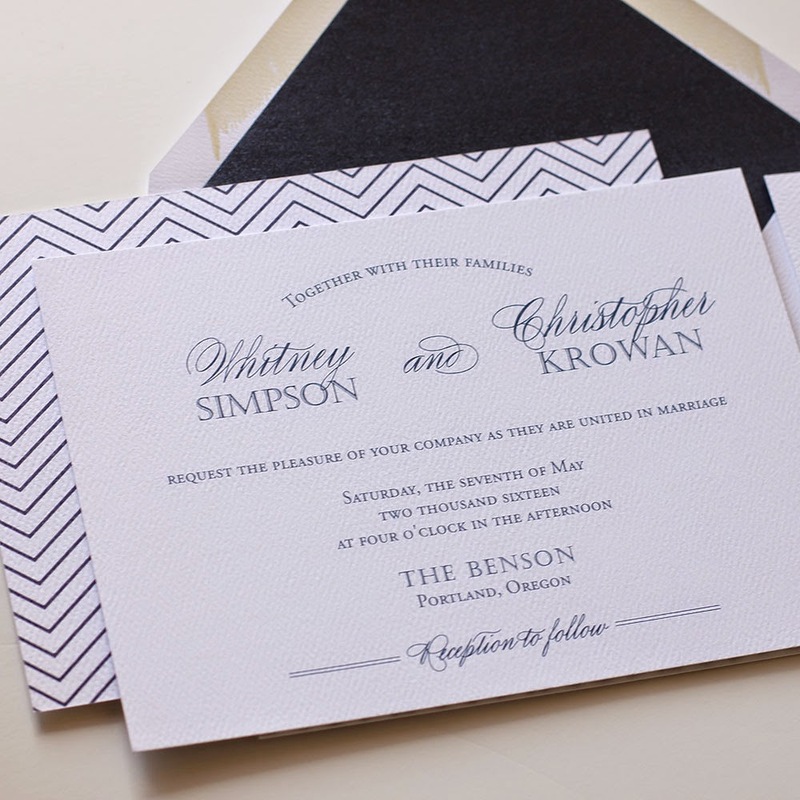 Our Modern Wedding Invitation suite is shown here with our mini chevron patter printed on the back side of the invitation. This is one of my favorite elements to add to a wedding invitation. The double sided printing is sure to wow your guests! The modern wedding invitation suite is shown here in navy blue digital/flat printing on our gorgeous, super luxe 110# white felt stock. All of our digitally/flat printed wedding invitations now include a belly band. For a type A personality like me, this is the perfect way to present your suite. 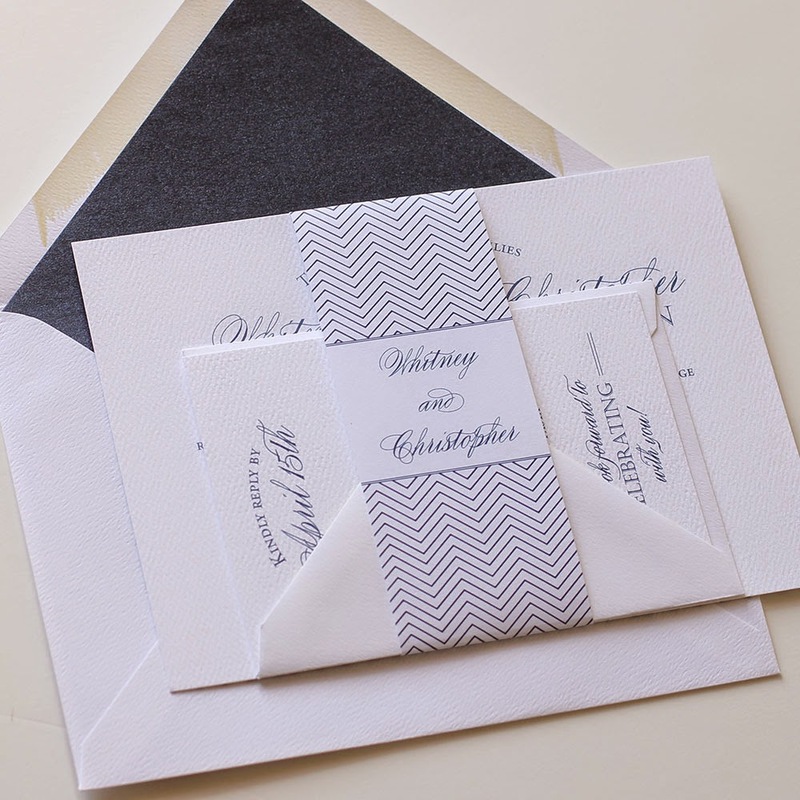 I also love how the mini chevron gives these invitations a bit of a nautical feel. 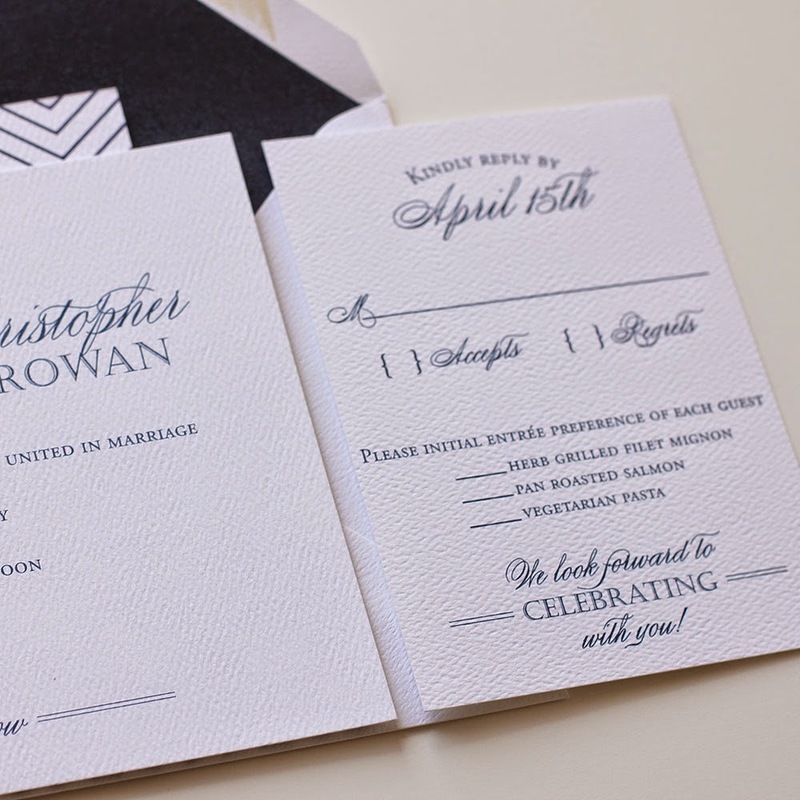 The Modern invitation is shown here in navy but can be printed in any of our print color options. It is also shown with your metallic dark blue envelope liner.